Dianne Thornburg joined Wanzenberg & Associates in 2017 as an Associate Consultant and Executive Functioning Coach. She comes to Wanzenberg & Associates with over 35 years of educational experience in a variety of settings and roles. Dianne began her career in education as a Speech-Language Pathologist in an elementary school in a southwest suburb after earning her MA in Speech and Language Pathology from Northern Illinois University. After completing her MS in Education Administration from Northern Illinois University, she led as an assistant principal and coordinated the special education program with the Special Education Cooperative for the school district. Dianne has since served as an elementary school principal for 20 years with one of the schools she led receiving the National Blue Ribbon Award of Excellence twice in a span of 9 years. While fulfilling the role of principal in three different elementary schools in the western suburbs of Chicago, she managed numerous special education teams to serve the needs of students under IEPs, 504 plans, and through RtI (MTSS). In the role of principal, Dianne also collaborated with District Administrators, the Regional Office of Education (ROE), and multiple placement sites regarding student rights and access to appropriate education. 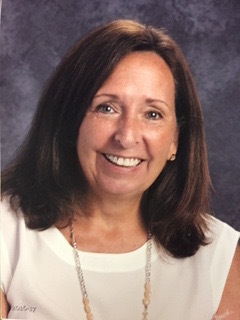 Following her retirement in 2015, Dianne has served as Interim Principal for the Bensenville and the Elmwood Park School Districts. She is an Adjunct Professor at Concordia University Chicago in the Educational Leadership Department. Throughout her career in education Dianne prides herself in serving the needs of all students in ensuring the highest level of student learning. She is committed to creating positive relationships with all constituents as a path to best meeting the needs of the student. Dianne strengthens Wanzenberg & Associates continuing ethic to positively impact and support the educational needs of all students.